An alcohol prodrug has been prepared by incorporation of two spacer groups between the trigger (glucuronic acid) and nitroveratryl alcohol, used as a model. 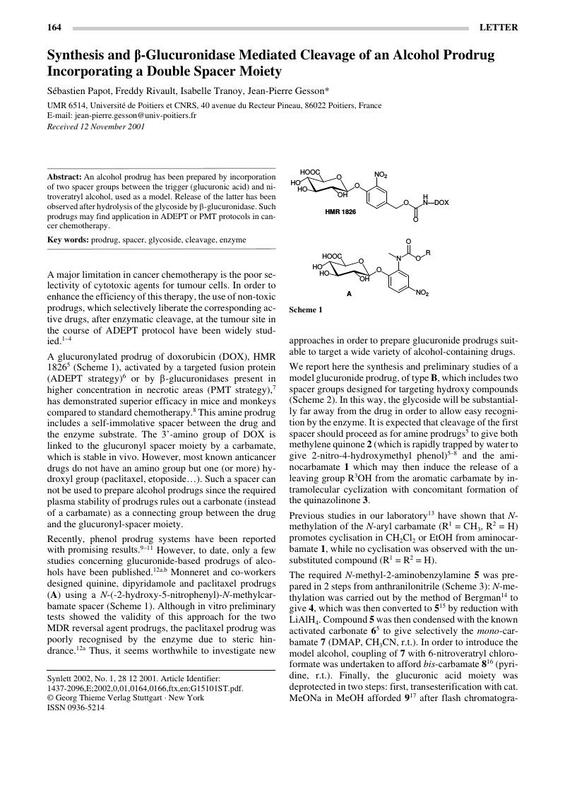 Release of the latter has been observed after hydrolysis of the glycoside by β-glucuronidase. Such prodrugs may find application in ADEPT or PMT protocols in cancer chemotherapy.